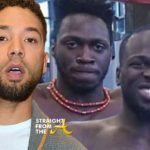 Jussie Smollett is not letting scrutiny over the recent racist/homophobic attack hold him back. 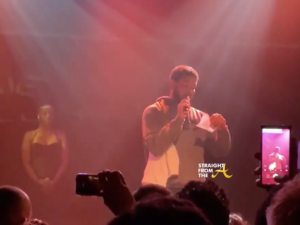 The actor/singer performed for a packed crowed during a concert at the Troubadour in West Hollywood Saturday night (2/2). 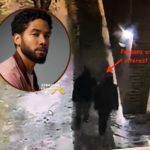 It was Smollett’s first public appearance since the brutal attack in Chicago and he had some talking points for the audience regarding some of the ‘facts’ being reported about his case. 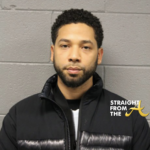 Smollett, 36, spoke out about the alleged attack in which 2 masked men punched him in the face, poured bleach on him, and tied a noose-like cord around his neck after hurting racial and homophobic slurs. 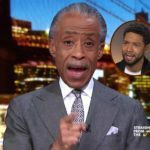 With note card in hand and his sister watching his back, the actor briefed a cheering crowd about things that had been reported which were not true. A couple of points I want to make out really quickly… 4 points. My little sister is like Olivia Pope… like literally. I was bruised but my ribs were not cracked, they were not broken. I went to the doctor immediately. Frank Gadson drove me, I was not hospitalized. 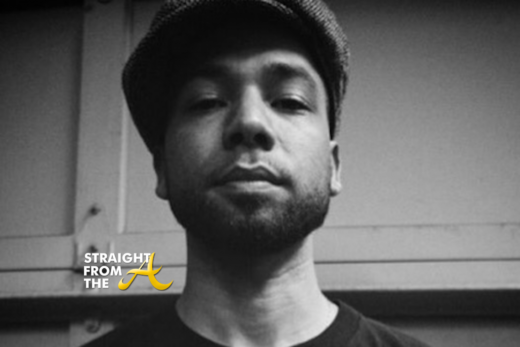 Both my doctors in LA and in Chicago cleared me to perform but said to take care… obviously. And most of all… I FOUGHT THE F*CK BACK! 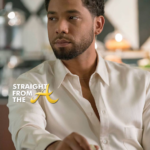 What are your thoughts about Jussie’s talking points?